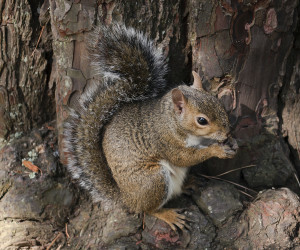 There is a wide variety of techniques used when trying to solve a red squirrel problem, most depend on the time of year and situation. Some of the most common techniques used include live trapping and relocations, the use of one way door over entry points with sealing after the squirrel has vacated. Biological or commercially made deterrents either by themselves or used in conjunction with the 1 way door is also an effective technique. We recommend an initial inspection of the problem to determine the most effective technique. In some cases immediate removal (ie: netting or catching) is available.